Holiday Gift Idea: What About a Handmade Body Cream? Okay time to switch things up for the holidays. Reserve Bath and Body Works for the tweens and teens and go handmade for the sissies and mommies. Personalize for more fun! Wrap this body creme, scarf and pair of earrings together; then write something like “handmade with love”… such a sweet gesture my dear! 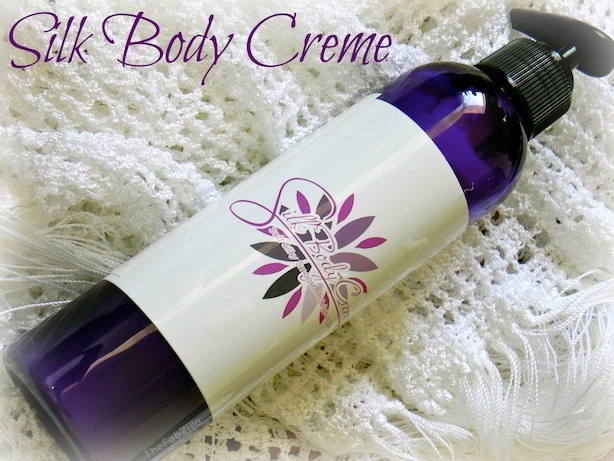 Speaking of handmade, let me introduce you to Silk Body Creme, the brainchild of Valerie who started her biz because she suffers from extremely dry skin. Dissatisfied with the results she’s getting from over the counter products, she decided to take matters in her own hands, literally. I had the opportunity to try ChaChaSuga, Valerie’s top seller. It’s made with olive oil, aloe vera, shea butter, Vitamin E. The scent is like vanilla sugar. It’s a bit strong so layering it with a similar scent body spray or mist isn’t necessary. I like to use it at night (after a warm shower) to keep my skin hydrated while sleeping. The scent definitely lasts long, I can still sniff hints of vanilla the morning after. If you want a different fragrance, contact Valerie at (615) 573-4110 or email silkbody1 at yahoo dot com. You can also check out her website for more product options or if you live in Nashville,Tn, you can see her at the Farmers Market every Saturdays from 9am-2pm. More holiday gift ideas comin’ you way!